We often hear the phrase “mindless entertainment” thrown around in all kinds of media. Hell, I’m guilty of using it (or other similar phrases) myself in a number of reviews I’ve written here at Gamer Escape. It exists because, obviously, “mindless entertainment” is a thing – media that exists just to provide some entertainment for the consumer, rather than trying to tell a deep story or get a point across. While the turn-your-brain-off summer blockbusters and Call of Duty Modern Black Ops 97 get most of the attention amongst general consumers (not to discount their merits), there’s others that, while seemingly less outspoken, demand exactly the opposite: entertainment with meaning. They want their media to have a story to tell, or a message to communicate, while still being…well, entertaining. 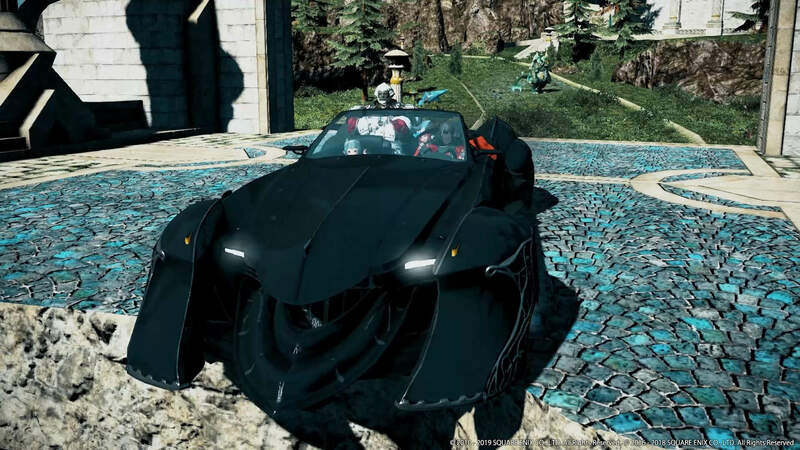 There’s really no shortage of it if you look hard enough, but in the gaming sphere, there are a few topics that are rarely broached: politics, government, and society. The most that’s typically seen falls more in line with conspiracy thrillers and the like (with the Deus Ex series being my personal shining example of this), rarely actually trying to communicate an actual opinion or message with these topics. So, sometimes, if you want a game to communicate your message, you have to do it yourself. Enter Solace State, an upcoming western visual novel from Canadian developer Vivid Foundry. The studio is an outlet for founder Tanya Kan to flex her creative and political muscle, integrating both her background in cinema and political science into gaming. 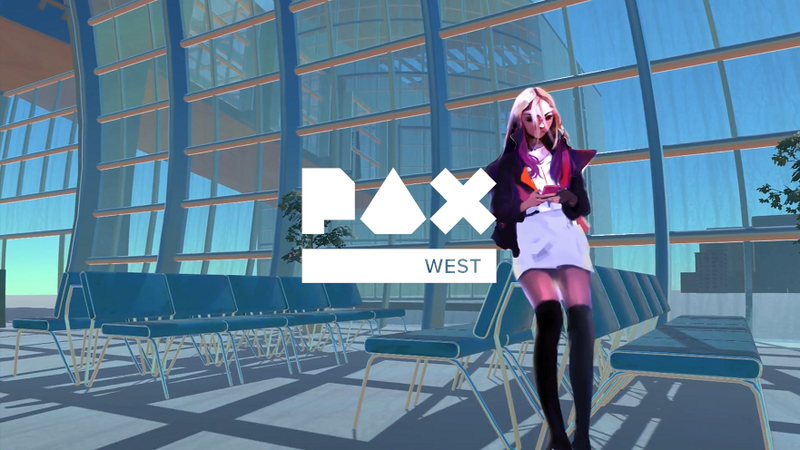 I had the opportunity to go hands-on with a short demo of Solace State, located in a small single-screen booth in PAX’s Indie Megabooth area on the main show floor. 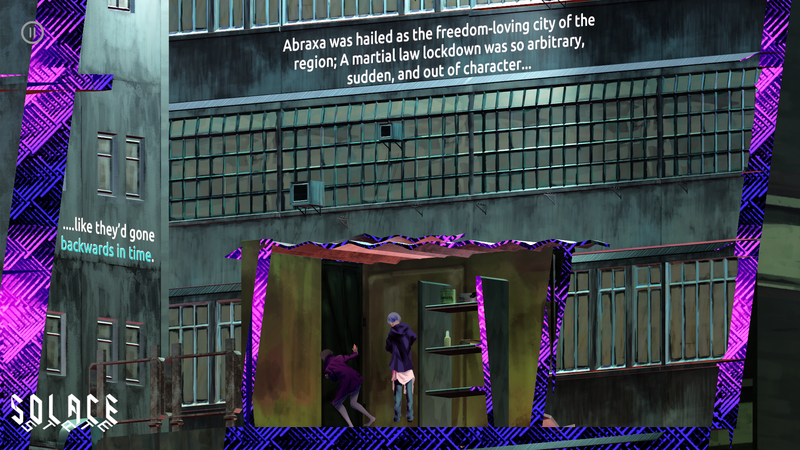 The games goes in a more experimental direction with its presentation compared to typical visual novels – while dialogue is displayed in standard text boxes, the rest of the prose is integrated into the actual environment, with the camera sweeping around said environment to move the text forward. With the story revolving around the political awakening of its main character, the hacker Chloe, and the citizens of a city clenched in the fist of its government, the presentation of the prose feels apropos. The moving camera shifts through layers of the city backdrop, occasionally cutting through them, as bits of the story are revealed, like peeling back the facade of the city to get to the thoughts of its people. It’s not the most subtle metaphor, but it fits the atmosphere here. 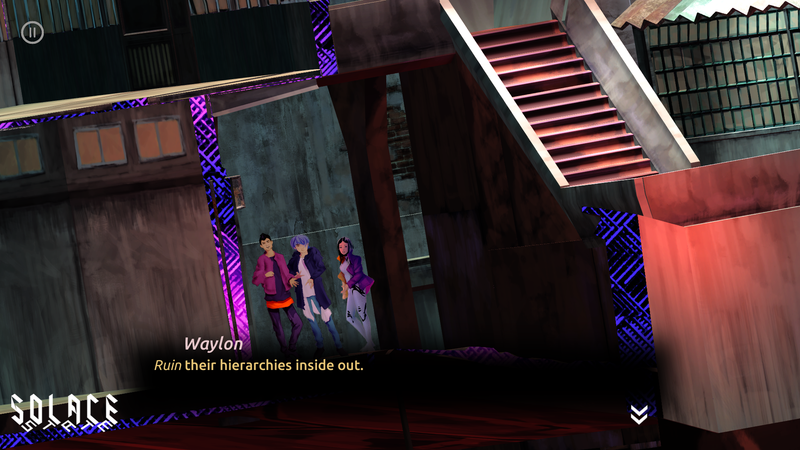 The demo follows Chloe as she enters the city of Abraxa, and she’s joined by another hacker named Torrent. They come across a flare-up between police and protesters, and I was tasked with resolving the situation. Despite the short demo, I was given a number of options on how I wanted to go about it. Chloe’s hacking skills (from what I gleaned from the text) allow her to digitally disguise people, so given the option to send either Chloe or Torrent into the fight, I elected to send Torrent, with Chloe staying behind to keep him disguised. Seems like an obvious answer, right? There was one spanner in the works, though: Torrent’s activist brother was part of the protest, and with Torrent trying to stay hidden, he couldn’t risk being noticed…so Chloe better be a damn good hacker going down this route. 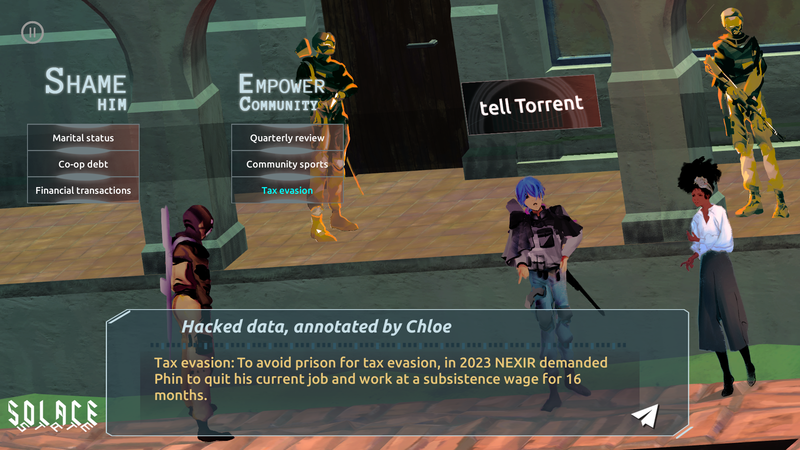 Torrent enters the struggle disguised, while Chloe provides an assist by looking into the background of the lead police officer, giving me the option to try and shut him down by either shaming him, or empowering the community around him. Both options really boiled down to shaming him, with the real difference being attacking him personally (exposing his personal relationships, etc) or socially (exposing his past of tax evasion and ability at his job, etc). Going down the Empower Community route eventually brought the stand-still to an end, with the demo wrapping up shortly thereafter. I walked away intrigued, but also thinking that the busy floor of PAX is definitely not the ideal environment to dive into a game like this. The plot here, with its sociopolitical tones and generally detailed writing style, really requires the focus that hundreds of gamers hyped up on energy drinks running around you easily ruins. As for final thoughts: political stories can be a bit of a minefield, depending on how deep they go, and I’m looking forward to seeing how well the final cut of Solace State handles its topics. Many of the topics that Kan says will be broached in this game seem very apt to the current climate of the US, which I feel is both necessary to tell, and will also inevitably lead this game down the path of controversy within parts of the gaming community. Regardless, I’m excited to see where the final version of the story will go, and I’m looking forward to its release. We also had the chance to speak with Kan for a bit before the demo to dive a bit deeper into her game and its development! Gamer Escape: For our audience, could you give us a quick introduction to yourself and your upcoming game, Solace State? Kan: I’m Tanya Kan, I’m the lead developer and creative director of Solace State. Solace State is a 3D visual novel. It is about a young woman who undergoes a political awakening because she’s going to a surveillance society, at first ostensibly to find her friends. After a while, she’s realizing how difficult their lives are, and, in so doing, she thinking about how her abilities as a hacker can help benefit people from all walks of life that she comes across in the backdrop of her friend’s lives. This is very wrought, in a way, with many dramas and human relationships overall. Your friendships and even your potential romantic engagements (slim though they may be by visual novel standards!) nonetheless have an impact on the trajectory of the society itself. How you deal with people may shape and turn the relationships that you have in your life, so we’re trying to model that kind of complexity as well. Gamer Escape: What I’m seeing in the demo right now is that you’re integrating a lot of the text, a lot of the prose, into the actual environment of the game. I wanted to ask if you have any inspirations for this style of presentation? Kan: Yes, absolutely! This experimentation really came out of my cinema studies background back in university. I was thinking, well, films have a certain look to them…why is Solace State not a film, and why am I going in to games? That was my starting point. I thought, aesthetically, what do games have to offer that’s really, really different from anything else that films have to offer? I started looking at isometric modes, something that’s common in 3D games, and being able to move in that environment is not very film-like. Beyond that, it works with our story of breaking the hierarchy. A traditional architectural form, such as classical architecture, tends to really focus on certain dominant hierarchies, and Chloe as a hacker kind of disrupts all that. As she’s disrupting, really, you’re peeling back layers of 3D architecture to find hidden information. But at the same time, it may be obfuscating other forms of information through having those layers of walls, rather they are walls of text, walls of information, or actual physical boundaries. That’s what the aesthetic is really playing with here. As you go through the game and you make certain choices, these choices actually allow you to down different paths of the game. We’re able to use lighting and environment to tell a different story of the architectural space as well as the kind of socioeconomic hierarchies that are in place within that part of the city [in the game]. Gamer Escape: You said you have a background in cinema, what made you decide to work in a heavily text-based genre rather that something more visually focused, like a point-and-click or a Telltale-style game? Kan: It was a number of things, actually. We first started trying to create a game that is kind of like Gone Home or Dear Esther. 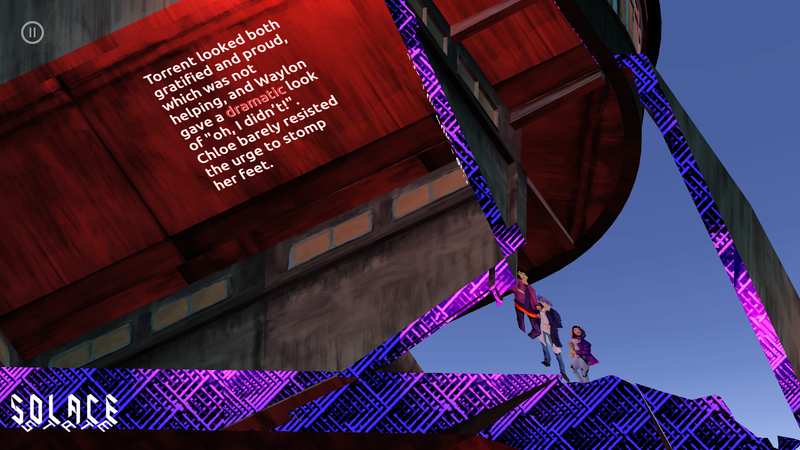 But we went with a more text-based version of this, because we also wanted to highlight characters in the actual physical environment. Right now, what you have in the game is 2D character sprites in the 3D environment, and they have positioning within the 3D world itself. You’re able to see their expressions, see their poses. Sometimes people’s expressions can lie, or they can tell the truth, so you have to read into that a little further. When our scope was more like a 3D exploratory game, we weren’t able to do as much for that, unfortunately. 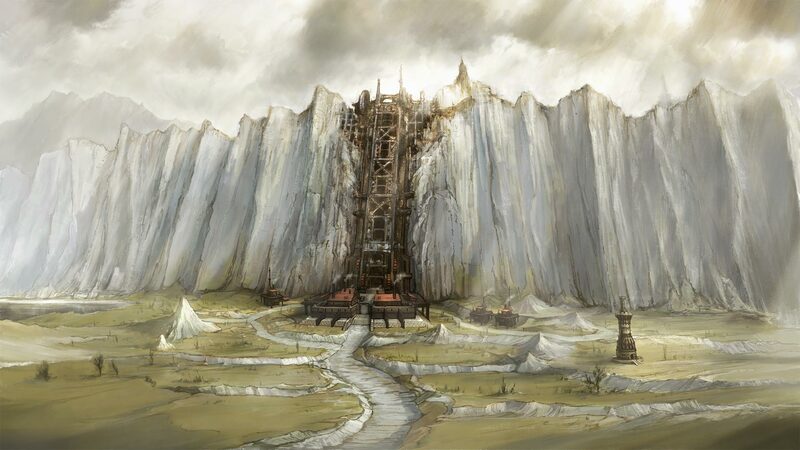 Gamer Escape: Did you have any specific inspirations from other visual novels in your creation of Solace State? Kan: Local Toronto developer Christine Love, she’s a great inspiration with her works Analogue: A Hate Story and Hate Plus. She is a great inspiration in the sense of creating a science fiction world in which she can also talk about the human dramas therein, and talk about gender issues and social issues. That’s been a huge inspiration. One of the other inspirations, not really a visual novel, but Cat and the Coup by Peter Brinson. It’s a very short game about the CIA coup in Iran during the nationalization of the oil industry by the Iranian Prime Minister, and it’s shown from his cat’s perspective, hence “Cat and the Coup.” I think I saw it last year at E3, but I knew of it since it was a free game on Steam about six years ago, at the start of my game development educational trajectory. Gamer Escape: Visual novels themselves have been becoming more popular lately, but they’re still a very niche genre. What kind of audience are you targeting or expecting with this release? Kan: We’re still a little ways off from release. We don’t have a release date yet. At the same time, we’re really going to start pushing toward marketing this at some kind of peripheral communities. We’re actually hoping to convert people who might not necessarily play visual novels as a whole. I actually come from a political science background as well, that’s my second major, and I’m connecting with people in activist communities and political science education communities to see if they might be interest in this sort of game. There’s been quite a bit of support for it, because they really want to see the complexity of that being presented in a game. Comparative studies of democracy, for example, and democratic institutions or the lack thereof, being shown in a game that can have this kind of density of information, as well as density of variable kind of possibility space in games overall. So that’s essentially where I think some of our interests are. We’re also going to try to connect with some artist collectives as well, especially pop art and comic book art, to see if there might be some interest in that regard. Briefly I spoke at the Toronto International Film Festival last year about the more social impact direction of games. There’s been some interest in that from the film community. I hope that there’s some interest as well in those fields. Building communities on Discord, for example, is something that we’re looking forward to in the near future, hopefully by September. Gamer Escape: What kind of feedback are you seeing so far from the gaming community specifically? 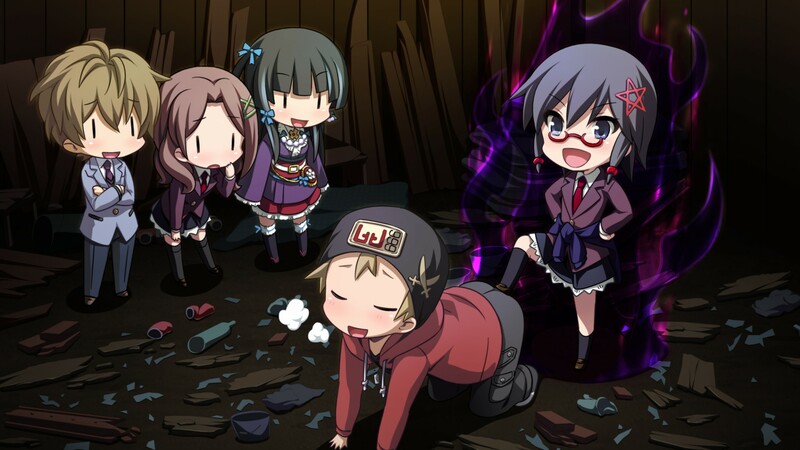 Kan: Going to game conventions so far, people have been loving the artwork, liking that there are choices that will bring about a certain end out of multiple endings in the game. We’ve been hearing some positive feedback regarding the use of deeper political elements in it. So it’s so far, so good in terms of feedback! We’ve also been very lucky in hearing a lot of media interest for an early project. It’s great to hear! Gamer Escape: From the presenter’s perspective, what is it like presenting a visual novel game that requires someone to come up to your booth, sit down, and take the time to dig through a deliberately-paced experience, as opposed to all these other quick experience demos that make up the majority of shows like PAX? Kan: Surprisingly, quite a number of people, even at PAX, and I couldn’t have predicted this, are very willing to to play the full demo! It’s exciting to see people being this interested in it. Some of them are devs as well, we’ve been getting quite a lot of interest from devs. Gamer Escape: How long of an experience are you going for in the full release? Kan: For the full release, we’re looking at five to six hours. The full game in terms of the page length, if you will, will be around 200 pages approximately, so like a standard novel. Of course, there’s choices and transitions in between. Gamer Escape: Can we expect a lot of choice and interactivity in Solace State, or are you going more for a kinetic novel experience? Kan: There will be a lot of choices. That’s one of the reasons we chose the visual novel formula, we really wanted to build out the elements of how it’s hard to negotiate with people at the end of the day. Even despite your best intentions, sometimes people will change the way you are using information, even if they are not hackers, so to speak in this space. Manipulations can go both ways, and that’s exactly what we’re presenting.